Last week’s Nomination Challenge saw both our contenders successfully complete their opponents’ challenge with a tie, bringing Ewan up to speed with scores. Which means only one thing, the finale is going to be a nail biter! The morning was off to a rocky start where Zoë and Ewan noticed their next clue on a wheel of the car that had been deflated. 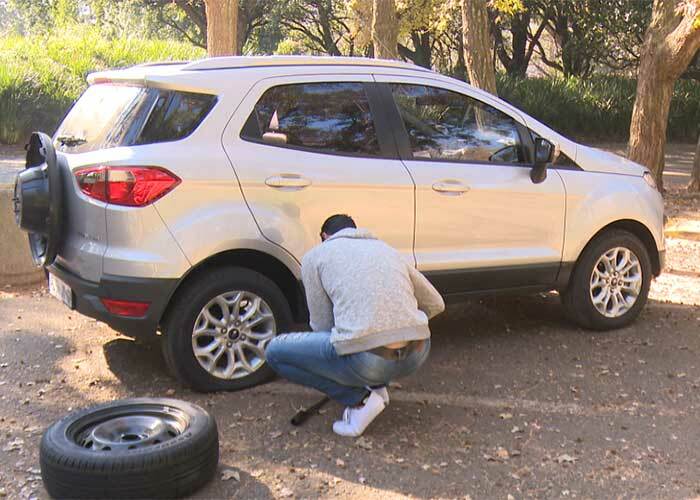 The first challenge for the finale would be to change the tyre – fastest person wins! Zoë worked quickly to prove that girls can in fact change tyres (and really well too), but she forgot to loosen the bolts on the tyre before raising the car with the jack, losing some valuable time. Ewan clearly spends all his free time changing tyres because it wasn’t long after the time started that superman was done and ready for the next challenge. Ewan’s speedy work won him an easy 30 points, putting him in a ten-point lead over Zoë with 20 points. Hopping into the car our dynamic duo had a clue waiting on the steering wheel to lead them to their next location, back to the Ford Dealership to return their best friend. It was a sad moment when they realized they have to return their EcoSport, but the day’s challenges weren’t over just yet. 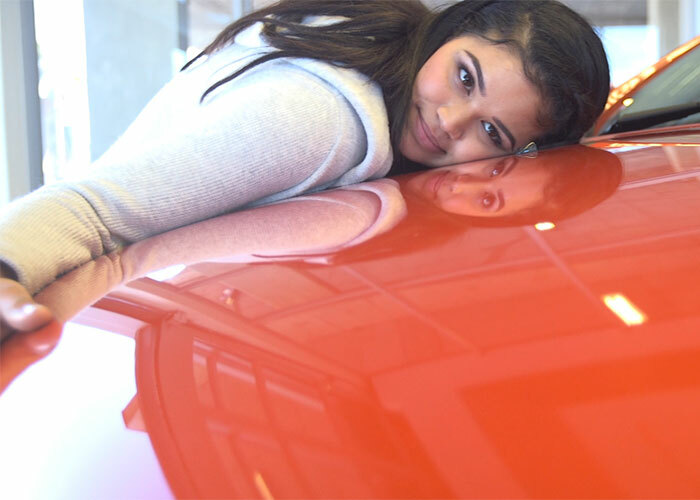 Their final challenge was to return the car in the same condition they received it in, clean and as good as new! With firm water restrictions in place and Ford taking all the necessary steps to preserve water, Zoë had to go back to the bucket system of washing and Ewan was given the ecowash machine which cuts down on water usage. Zoë’s car washing skills were pretty decent, but she sneakily left out the parts that she thought no one would inspect, like the roof, which caused her to be penalized. Ewan worked quickly and while he washed the outside thoroughly, he completely avoided the inside, meaning that he too was penalized. They were tied with 25 points each. Talk about a close call! After adding up the scores, Zoë came in with 340 points over the 8 challenges. However, Ewan’s handy work on the tyre change gave him just the lead he was looking for and the 10-point lead was what won him the series with a total of 345 points! 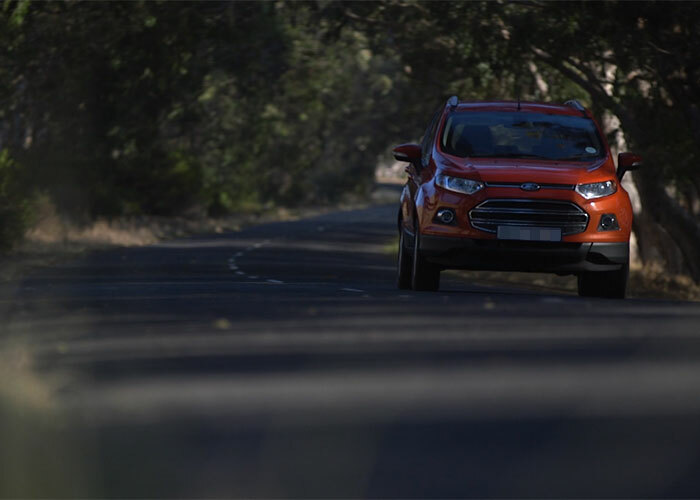 It’s been a fun journey and the only thing that really mattered was that our dynamic duo loved to #GetBusy in the Ford EcoSport.